In addition to basic turbo timer functions, "Battery voltage display" function manages a battery for a vehicle that is facing severe environment with a light-weighted and downsized battery for better fuel efficiency. 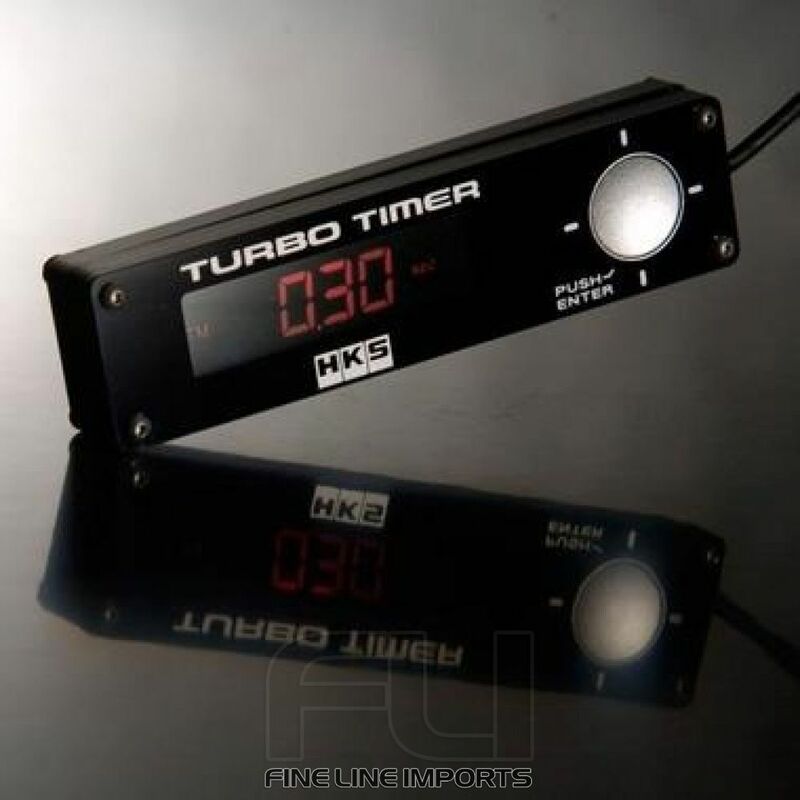 When using a conventional turbo timer, the door must be locked using a mechanical key during after-idling, but with HKS Turbo Timer Push Start Type-0, the timer controls the door lock. This function enables a user to leave the car with the A/C working even after locking the door. The separated compact display unit and control unit increase a degree of freedom for installation. The control unit is a black-based flat acrylic panel that is matched with the appearance of a stock cockpit. Sensing the handbrake's condition prevents the vehicle from moving while Turbo Timer is working. Indication of the battery voltage, peak value, and warning function's ON/OFF status. The factory security system will not be activated after the after-idling. The automatic door lock function is to lock the door by Turbo Timer since the door cannot be locked by a key during the after-idling. Let op: dit artikel is niet retourneerbaar !